Abandon rate is one of the most important HR metrics. They show HR professionals how optimised and user-friendly is their job application form and process. 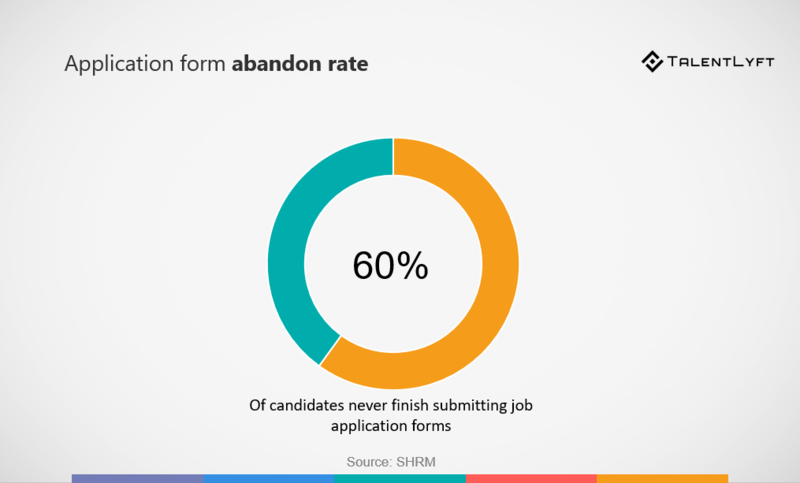 Abandon rate is an HR metric that shows how many job applicants that start filling company's job application for actually finish and hit "submit". To calculate abandon rate, take the number of all people that apply for job openings, divide it with the total number of all people that start filling out the for, and multiply the result by 100 to get a percentage. Knowing what your company's abandon rate is can give you insights on many things. You can learn about how interesting your career site is, and how user-friendly your application form is. In addition, shorter, user-friendly job application forms are much more likely to improve candidate experience. Research says that over 60% of people that start applying, never finish the form. Don't let that happen to you, and prevent loosing best job candidates.